On 17 Nov 2012, we gathered at Ritz Carlton Singapore to celebrate the birthday of CY. It’s hosted at Summer Pavilion, one of the family’s favorite restaurant. For starters, we had marinated canadian surf clam with fungus, vegetable in wasabi sauce; chilled beancurd with fresh prawn; BBQ pork with honey sauce. The double boiled eight treasures soup came in a whole huge winter melon, then served individually. 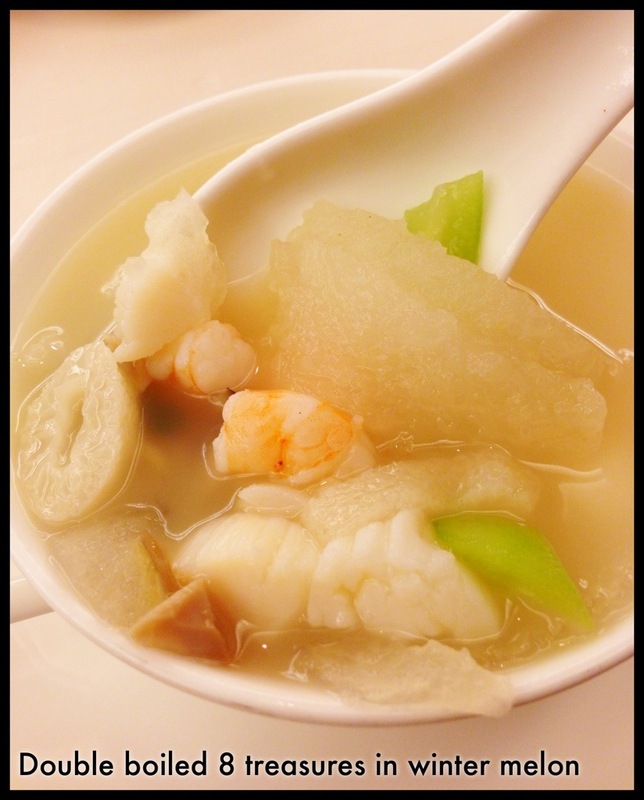 Love the sweetness of the soup and freshness of the seafood. 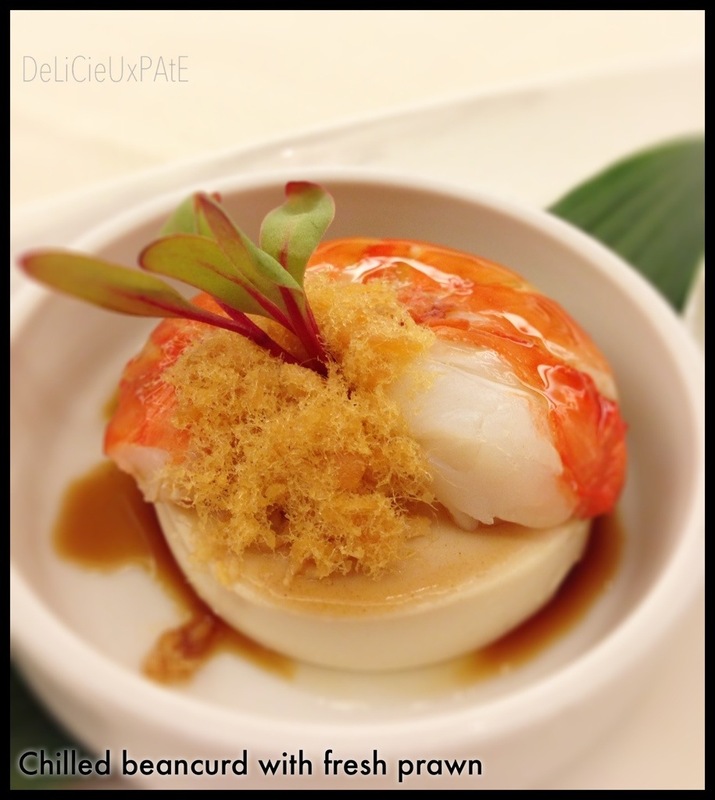 Some ingredients were bamboo pith, prawns, scallops, mushrooms and loofah melon. This next dish was collagen packed. 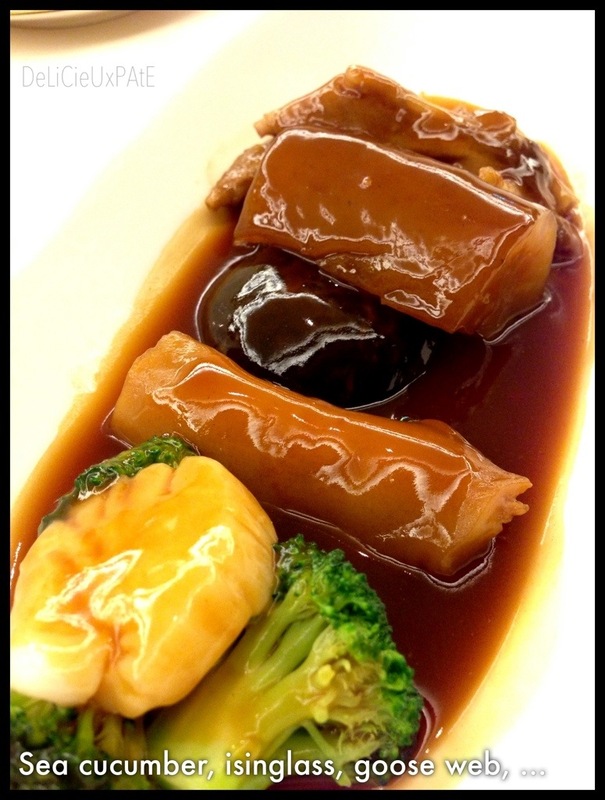 Braised sea treasure with goose web, sea cucumber, fish isinglass, scallop, mushroom and broccoli (as per menu). 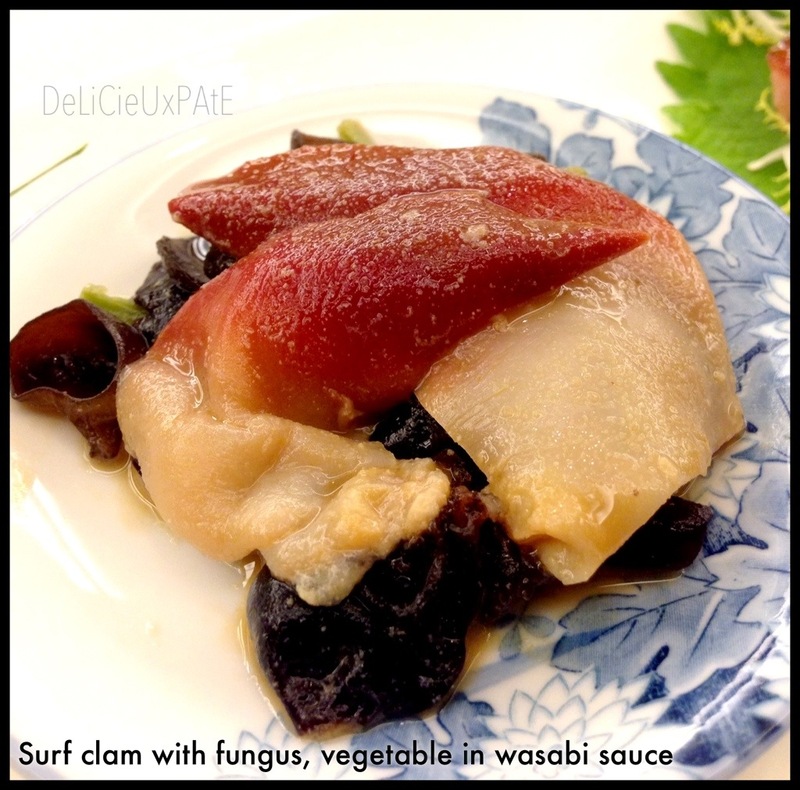 This dish was fabulous, the sauce was infused with the taste of abalone. Perhaps clarification should be made that the item served was not isinglass but fish maw. Isinglass (as per Merriam-Webster) is actually a semi transparent whitish very pure gelatin prepared from air bladders of fishes (sturgeons) and used especially as a clarifying agent and in jellies and glue. The item next to the broccoli was supposed to be isinglass. 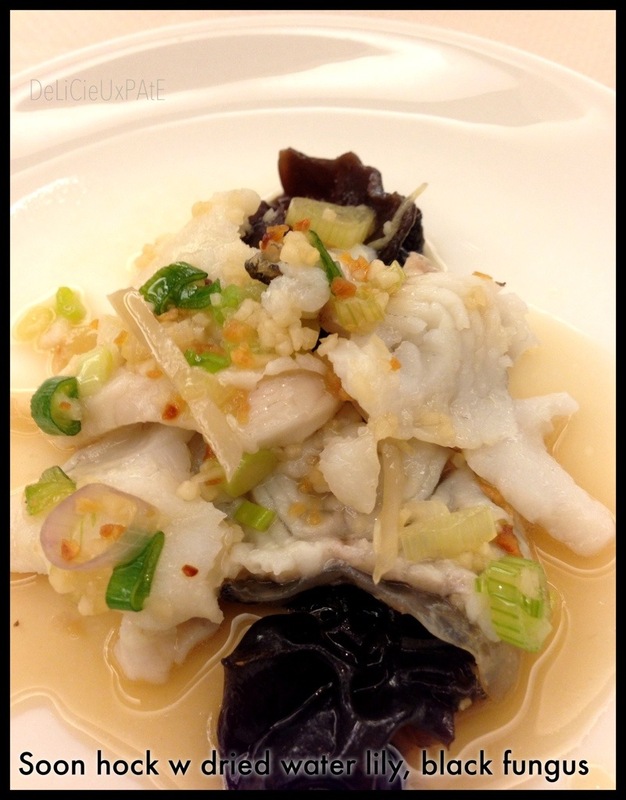 Steamed soon hock fish with dried water lily and black fungus was next. As usual the steamed fish at Summer Pavilion never disappoints. 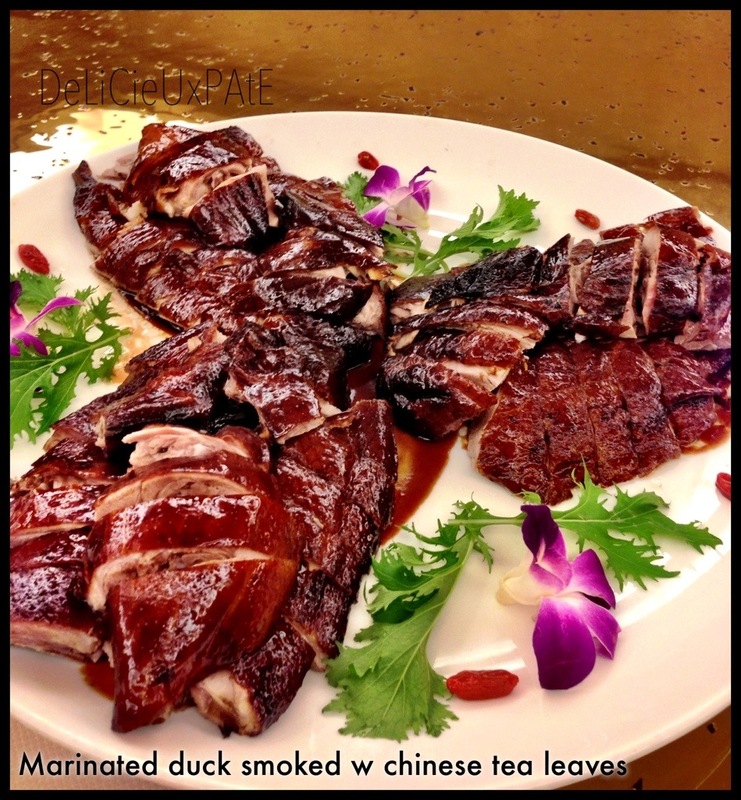 Smoked duck at Summer Pavilion is the family’s favorite, every meal here includes this dish. And of course, never disappoints. The smokiness of the duck is unique. Look at how big a portion the duck was, one and a half ducks which was more or less finished. 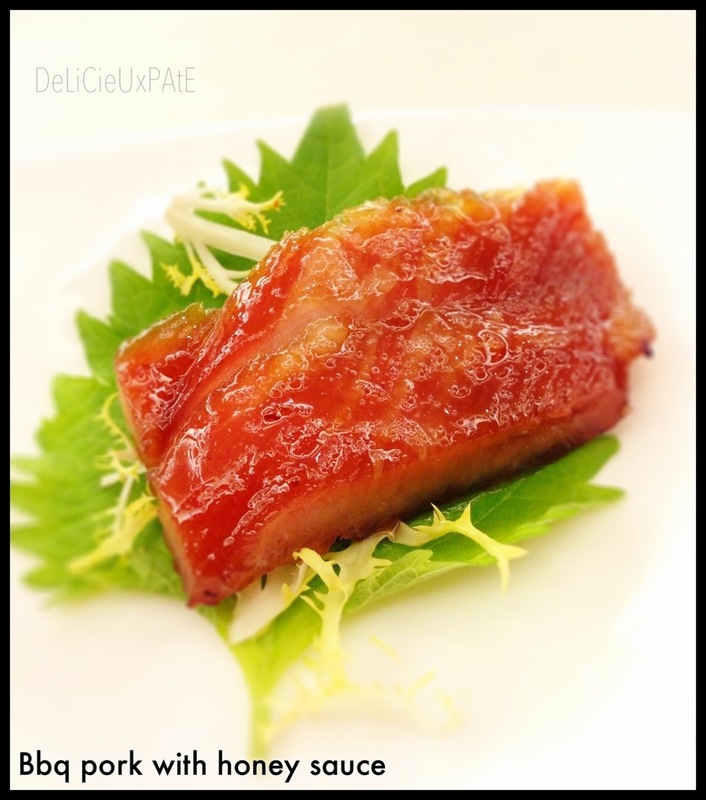 If you love duck, you must try this! Braised Hong Kong noodles with conpoy (dried scallop) in abalone sauce was next. No pictures for this but I had two servings as it was so delicious! 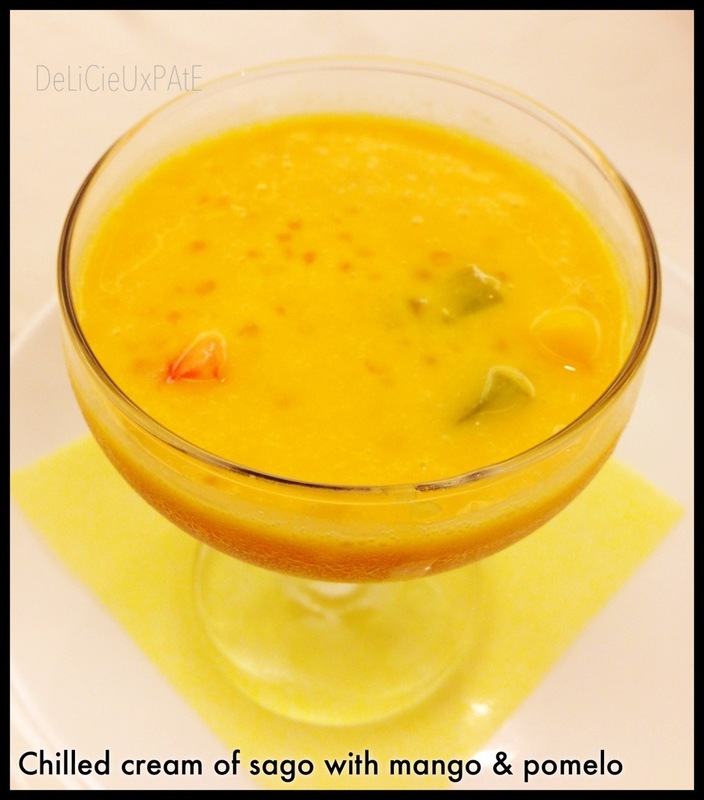 Dessert was cream of sago with mango and pomelo topped with ice cream. I opted for the version without ice cream. It was not too sweet and had mango chunks, strawberry and kiwi bits. Very nice! For those who love fine Chinese food, you must try this place.